MT. 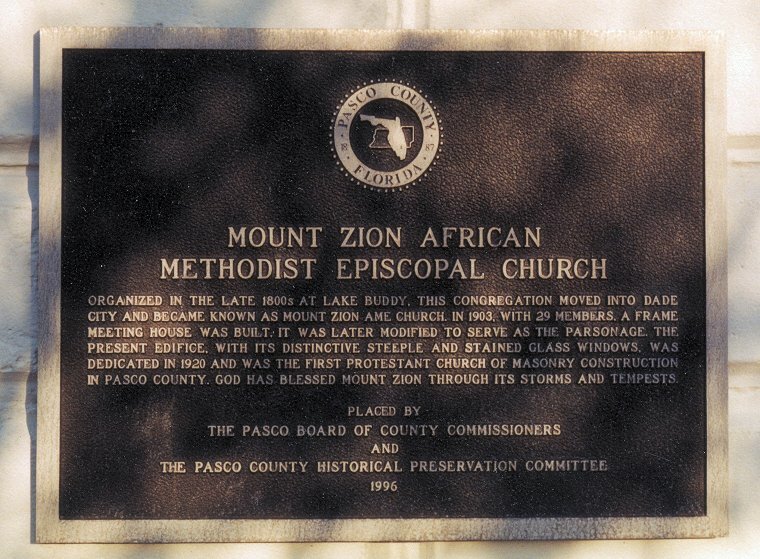 ZION AFRICAN METHODIST EPISCOPAL CHURCH HISTORICAL MARKER. This historical marker is mounted on the front of the church building at 14440 N. 7th St., Dade City.